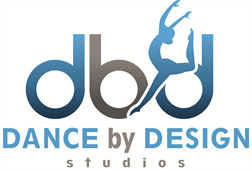 Welcome to Dance by Design Studio's registration page! Please fill out the information below and click submit when complete. Credit cards will NOT be charged at this time. All enrollments are considered pending until we have reviewed your registration and posted any fees due. Applicable discounts will be applied as well. As the legal parent or guardian, I release and hold harmless Dance by Design Studios, its owners and operators from any and all liability, claims, demands, and causes of action whatsoever, arising out of or related to any loss, damage, or injury, including death, that may be sustained by the participant and/or the undersigned, while in or upon the premises or any premises under the control and supervision of Dance by Design Studios, its owners and operators or in route to or from any of the said premises. The undersigned gives permission to Dance by Design Studios, its owners and operators to seek medical treatment for the participant in the event they are unable to reach a parent or guardian. I hereby declare any physical/mental problems, restrictions, or conditions and/or declare the participant to be in good physical and mental health. I request that our doctor/physician be called and that my child be transported to the hospital. Students are REQUIRED to purchase shoes and tights from Dance by Design Studios to wear during dance class according to the dress code. Leotards can be purchased from the studio but are NOT required. Please refer to our website and app for details on our dress code. I hereby grant Dance by Design Studios the irrevocable and unrestricted right to use, reproduce, and publish photographs of my child for editorial, trade, advertising, or any other purpose or manner or medium. I hereby release Dance by Design Studios and its owners and teachers from any and all claims, actions, and liability relating to its use of said photographs. By registering online I agree that the credit/debit card provided will be automatically used for all fees and class tuition for selected classes. If you wish to pay any fees or tuition by cash or check, written notification must be given to the studio. For more information on fees and tuition please visit our website or contact us. Declined credit card payments must pay a $5 service fee. DbD Studios will be posted to accounts at the date of registration for the full season and will be automatically withdrawn if not paid for by October 31st. For students that enroll after October 31st,, costume fees are due upon registration if student would like to participate in the recital. All costume fees are non-refundable. Parents are responsible for all alterations. DbD Studios will be responsible for any size exchanges. Students must try on their costume within 2 weeks of delivery in order to be eligible for a size exchange. For seasonal classes (Sept-May) one month's tuition must be given at the time of registration. This tuition will be used for the last month's tuition and is NON REFUNDABLE. I have read and agree to all policies listed on Dance by Design Studios' website.